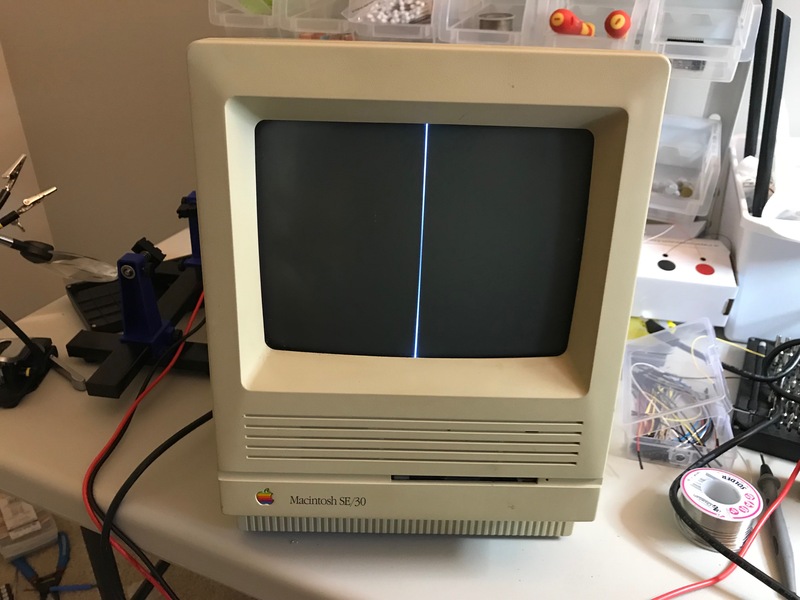 This weekend I attended the 7th Vintage Computer Festival Southeast in Roswell, GA. Before going, I promised myself that I wouldn’t buy anything, but they happened to have an as-is Macintosh SE/30 for sale for $60, and I happened to have been looking at them all week, so I took a chance and bought it. Unsurprisingly, when I got it home and powered it on, it seemed less than functional. 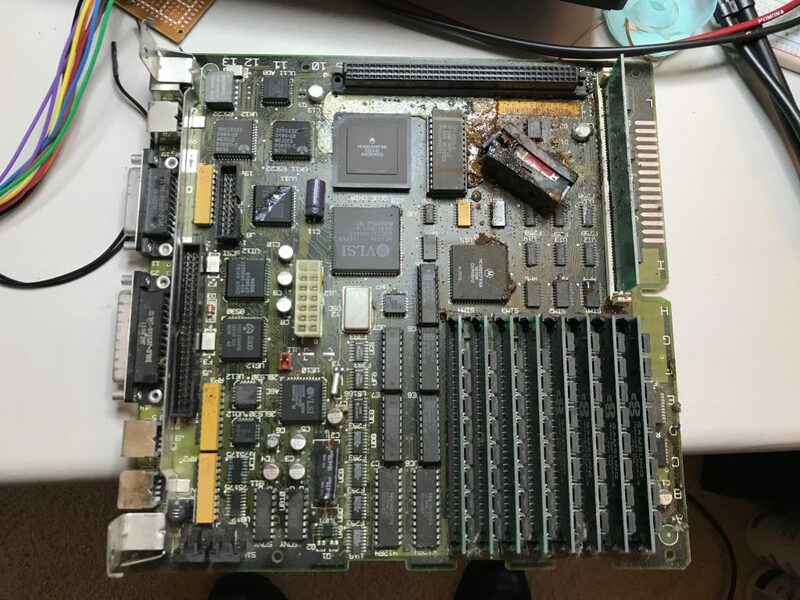 My first thought was that there are probably some blown capacitors to deal with, and that I’ve probably got a dead horizontal sync signal going to the CRT. Let’s crack it open! The first thing I noticed was a Lapiz Technologies high-resolution display adapter. I figured it might be interfering with the video, so I removed it and powered the device back on. No change. 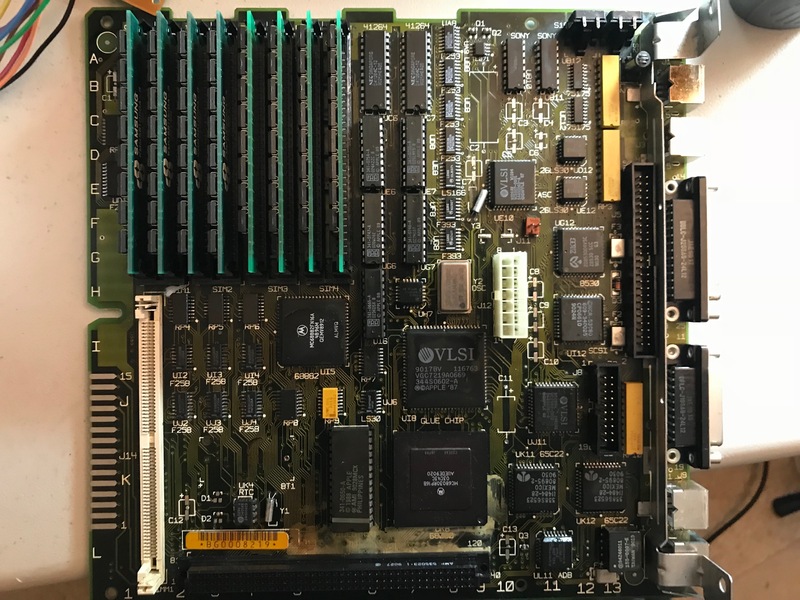 I then pulled out the mainboard and discovered that the problem might’ve been a bit more serious than I’d hoped. Thirteen leaky capacitors and a blown RTC battery that had all been sitting around and corroding nearby components for years. Time to break out the DeoxIT. I snapped off the capacitors, soaked the board, and then went to down with a cheap Dremel. After some elbow-grease, the board and components cleaned up pretty nicely. The corrosion in a lot of areas was bad enough that I got down to bare copper when it was all removed. I went back and used some solder to clean up and re-tin parts that needed it. One really bad one was the ROM SIMM which sat directly next to the battery that exploded. 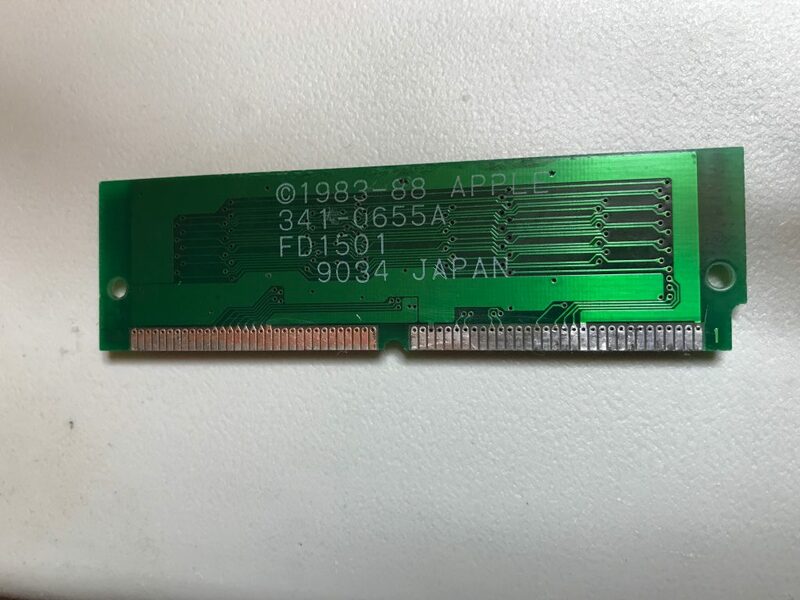 I took this picture after re-tinning half of the ROM board. It cleaned up pretty well! 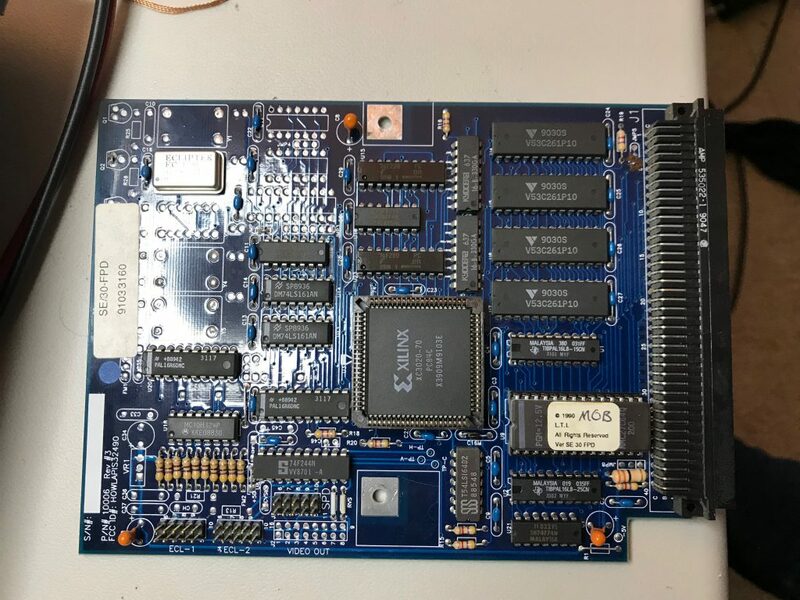 After everything was cleaned up, I ordered Tantalum capacitors from Mouser to replace all of the electrolytics, along with several ICs to replace ones I wasn’t sure about, and a new RTC battery and holder. Once they arrive, I’ll get them installed, and we can see what happens when we try to fire this thing up again!